DeVere has a complete line of cleaners and sanitizers for the warewashing industry. With both powders and liquids, and for both commercial and industrial dishwashers, DeVere has anything you need for your warewashing needs. 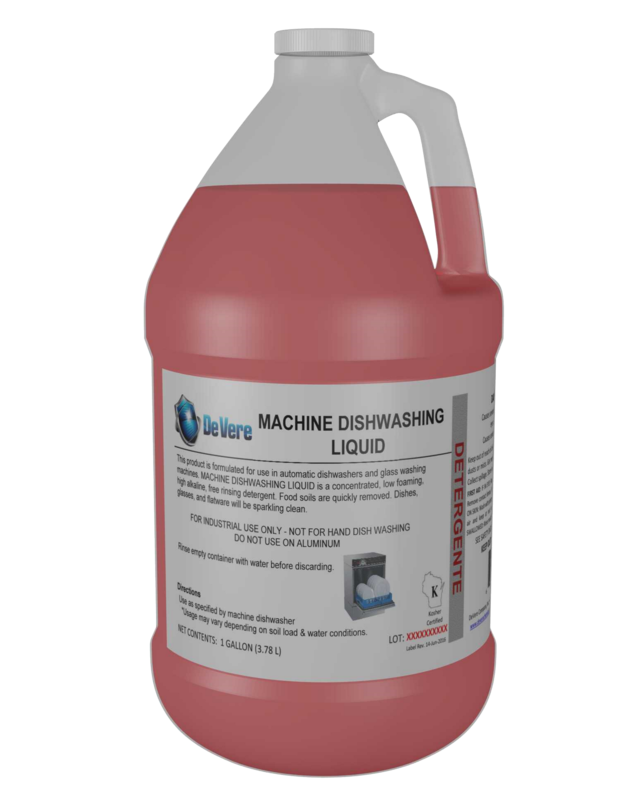 Machine Dishwashing Liquid is an ultra-concentrated, highly alkaline, free-rinsing, commercial-grade detergent for use in dishwash and warewash machines. Machine Dishwashing Liquid quickly removes food soils and leaves dishes, glasses and flatware sparkling clean. Machine Dishwashing Powder is a 100% active, non-foaming powder for use in institutional and commercial dishwashers. It removes the toughest food soils quickly and completely. Anti-Corrosion Additive is an ultra-concentrated additive specially designed for warewashing machine detergents. Proper use of this product to eliminate corrosion on soft metals even when high concentrations of detergent are required. Rinse Rite Low Suds is a concentrated, biodegradable, low-foaming rinse aid. Rinse Rite Low Suds is a specially-formulated rinse aid for use with dishwash and warewash machines.